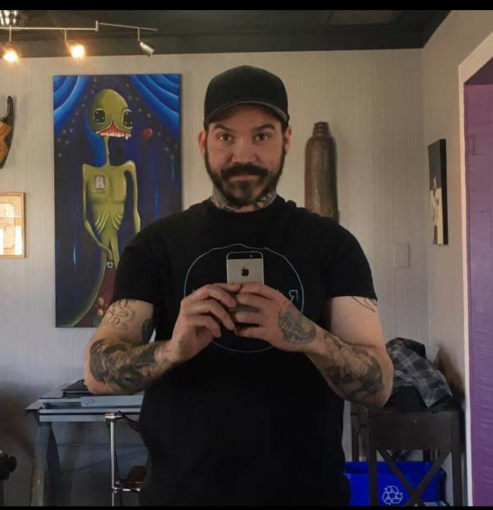 THE DIRTY ARMY: Nik, so this guy thinks it’s ok to harass and stalk his tattoo clients. I sent my gf there to get tattooed and Mr Dustin Ward thinks it’s ok to repeatedly txt my women asking to hang out. Now I am not the only one who’s experienced this. Multiple girls claim they have received some inappropriate txts and phone calls. He’s a total creep. Thinks because he offer deals to good looking women that they will in return give him something back. STAY CLEAR, LADIES. DO NOT GET TATTOOED BY THIS STALKER. This small man is not fooling ANYONE by wearing a hat 24/7 lol never met a more insecure man in my entire life. Not surprised that he is just a creepy pig. He tries to come across as a nice guy, but it’s all just a disguise.